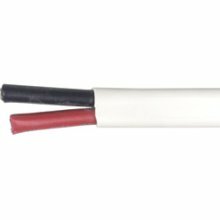 Made to surpass the highest UL Boat Cable standards. The outer jacket is made to remove easily but still provide the best abrasion resistance. The inner conductors are Red and Black. White common jacket.